A day after the United States urged its allies fighting in Syria and Iraq to bring their ISIS foreign fighters home for prosecution, Canada has been reluctant and said that it is not willing to put its citizens at risk to repatriate these fighters. The concern is that they are not willing to send more employees in a dysfunctional and dangerous part of the world. Also, Canada’s Public safety officer, Ralph Goodale says that there is no diplomatic presence and they are not willing to put their diplomatic officers or consular officers at risk. Nevertheless, Canada is still working with its allies in the Five Eyes intelligence-sharing network comprising (Australia, Britain, New Zealand and the U.S.) to gather evidence that can be used to convict Canadians who went abroad to join ISIS — but he said he would not risk Canadian lives to do so. Syrian Defence Forces have taken custody of hundreds of foreign fighters from countries all around the world. If worse comes to worst, the SDF might just strike a deal with the regime of Syrian dictator, Bashar al-Assad, to turn the fighters and their children over for execution. The Syrian Defence Forces are not going to be able to hold foreign fighters in camps indefinitely. It is a reasonable fear that they’ll escape or be released before they can be returned to their countries of origin for interrogation. Gathering evidence in such a hostile environment is treacherous. To add to this, the sheer scale of the operation and the number of captured fighters makes this task extremely tough. The Canadians are right when in saying that they would not like to risk the lives of diplomats and consular officers in a risky area like Syria and Iraq. On the other hand, if the fighters are not taken by their countries then they might get executed in Syria, innocents and the guilty, both. Modern science may be able to help the investigative agencies have their cake and eat it, as well. There must be a solution in which the investigative agencies can not only accurately gather intelligence from the arrested suspects and witnesses, and without the burden and moral guilt of having to put them through trauma. Well, the Icing on the cake can be that the solution is more efficient than current methods. Well, a solution of such a kind already exists. Brainwave Science, a United States based company which understands the importance of elimination of human suffering and torture from the process of interrogation, has developed and introduced a mind-bending intelligence-gathering technology. This technology, called iCognative has taken Forensic science to the next level. Where DNA and Fingerprinting, which are sworn by, are actually only uncovered in 1-2% of all cases, iCognative is applicable to a whopping 85-90% of all criminal and civil cases. Such wide applicability has never been seen in Forensic Sciences. What’s more, it reports neither false-positives (a ‘yes’ when the result must be a ‘no’) nor any false-negatives (a ‘no’ when the result must be a ‘yes’). The result of iCognative is 99.9% accurate, whereas popular tests such as Polygraphs (lie-detectors) are often subjective, vary with the polygraphist, and thus unreliable and inaccurate. The subjective opinions of the iCognative test administrator do not affect the result in any fashion. In fact, during the 45-minute test, there is no interaction or verbal exchange between him or her and the test subject. The test subject is not tortured or coerced in any manner. As a matter of fact, he or she merely sit there wearing a specialized headset and observe a series of words, pictures or phrases on a computer screen. Little do they know that these stimuli are related to the crime being investigated in some way or the other. The brain of the test subject responds to each stimulus in form of electrical stimuli depending on whether they are familiar with the stimulus that they have just observed. The iCognative system outputs the result as soon as the test is over. Therefore there is no delay, unlike other testing mechanisms. The headset records the brain responses and transmits them to the iCognative computer. This set-up is highly portable and can be deployed anywhere. The operator can be trained easily and quickly. In the iCognative test of the arrested fighters, the SDF can use crime-related stimuli such as details and pictures of the fighting group which they are suspected to be a part of, the photos and names of other members of this group, the names and pictures of the places where they have been fighting, the names and pictures of their victims and the group’s ‘accomplishments’, etc. This can help the SDF to find out more about the position of the fighters in their respective fighting groups hierarchy, the structure and other details about the group. iCognative is a powerful tool which can help distinguish between an innocent and a guilty person. 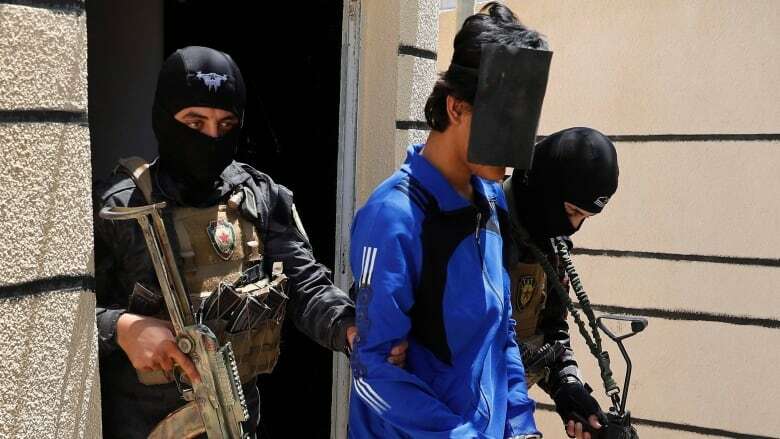 The SDF and all the concerned governments around the world can help contain this global issue with the use of iCognative to screen and gather the maximum amount of intelligence from a large number of arrested fighters while identifying and exonerating the victims amongst them.